The policy recommendations of the think tanks, policy discussion groups and advisory committees reach government through several channels. These include reports and personal representation to politicians and government officials, media reporting of news releases, speeches and conferences, and testimony at governmental committees and hearings and presidential commissions. 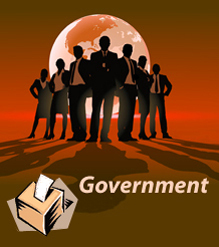 In addition, there is an interchange of personnel, a revolving door between government and the policy community. Politicians don’t just rely on any experts but usually prefer those that have corporate backing. Robert Bates, a professor at Duke University, suggests that politicians aren’t able to independently evaluate the merit of economic advice they are offered. Reference: Robert H. Bates, ‘Comment’, in John Williamson (ed) The Political Economy of Policy Reform, Washington, DC, Institute for International Economics, 1994, p. 32. In checking out whether a technocrat is ‘sound,’ a politician is likely to listen to major economic interests in his constituency. Politicians are likely to come to trust those technocrats whose policies enhance the economic fortunes of key constituents and thus their own political fortunes as well… Economic technocrats become powerful, and thus reform becomes politically sustainable, when they serve the interests of powerful groups: industries, sectors, or regions of the economy. Reference: Georgina Murray and Douglas Pacheco, ‘Think Tanks in the 1990s’, Australian National University, 2001. Think tanks and policy discussion groups are more useful to corporations when they are not obviously associated with business interests. Although ‘their views are often indistinguishable from those of the business leaders and associations that support them financially’ and make up their committees these policy groups can claim they are independent of ‘particular’ vested interests because they are funded by multiple corporations. However, whilst conservative think tanks and policy groups may not represent the interests of individual companies the ideas they promote serve the interests of big business in general.